**Note: The location of this event has changed. It will take place in Kane Hall, room 220. Did you miss the event? Check out the UW Daily’s writeup, which includes a number of audio excerpts. Sarah Riskind is a choral conductor, composer, vocalist, and music educator based in Seattle. 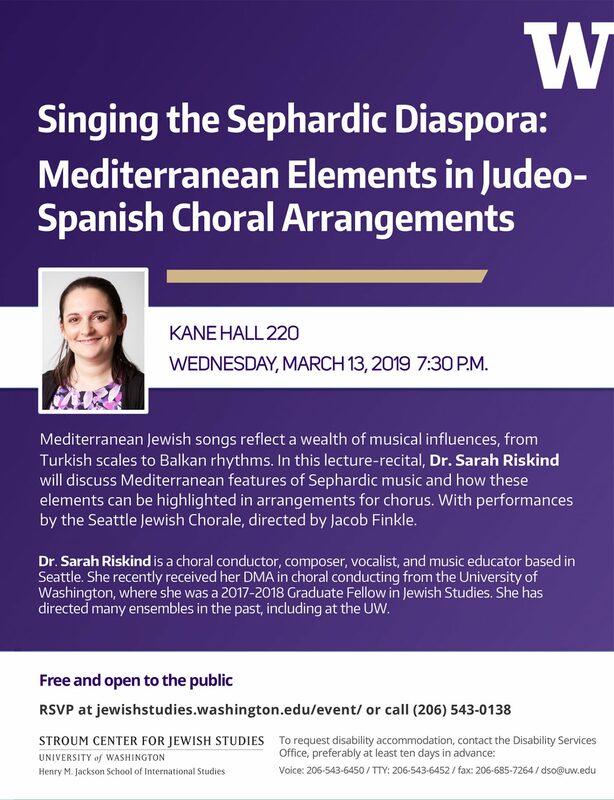 She recently received her DMA in choral conducting from the University of Washington, completing a dissertation entitled “Informed and Informative: New Choral Arrangements of Sephardic Music,” and she is the Music Director at Magnolia United Church of Christ. With previous degrees from Williams College and the University of Wisconsin at Madison, she has directed ensembles at the University of Washington, the University of Wisconsin at Madison, Williams College, the German International School of Boston, and the First Parish Church of Berlin, MA; she has also assistant-conducted the Renaissance choir Convivium Musicum and the Boston Children’s Chorus. Her compositions have been performed by the Seattle Jewish Chorale, Quince Contemporary Vocal Ensemble, Triad: Boston’s Choral Collective, the Bennington Children’s Chorus, and other college, community, synagogue, and church choirs across the country. 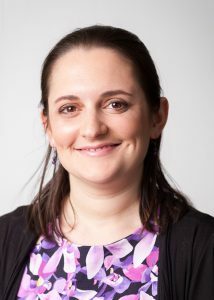 Dr. Riskind enjoys folk and classical improvisation on violin, which led her to pursue doctoral research on choral improvisation in addition to Renaissance and Sephardic music. Riskind participated in the Stroum Center for Jewish Studies Graduate Fellowship program during the 2017-18 academic year.